I wasn’t planning on even listening to this album, much less reviewing it. While Juice=Juice started off strong with songs like “Watashi ga Iu Mae ni Dakishimenakya ne” and “Romance no Tochuu,” their quality took a bit a of a dip (which, frankly, happens to a lot of Hello!Project groups when they get their major debut). Juice=Juice is also a group I haven’t paid too much attention to – while I like all the members of Juice=Juice, none of them are idols I consider to be one of my particular favorites that can carry a group even if the music is a little subpar. So, it was a huge surprise when a friend recommended First Squeeze and told me I had to listen to it. I got the album on iTunes (all the songs I didn’t already have, anyway) and it was an almost revelatory experience. It was almost like a cheesy movie, where I had this realization that maybe, just maybe, Juice=Juice is the strongest group in Hello!Project right now, at least musically. I’ve liked quite a bit of their previous output, but it took First Squeeze to really make me appreciate how strong Juice=Juice is as a group. Oh man, what a way to start a group. It’s hard to put into words just how much I love this song. First off, the saxophone. This is surprisingly divisive as I know people who just hate the solo sax here. However, I absolutely love the saxophone in this song. It’s such a catchy and fun riff that adds a fun flavor to this song. This is a surprisingly mature song for a group to debut with, but the Juice=Juice girls all manage to pull it off. There’s a bit of darkness to this song in the backing track but somehow they make it work. As for the memorial edit it mostly just messes around with the instrumentation a bit and removes Otsuka Aina’s vocals. However, it still works just as well as the original song. This is pretty much a perfect Hello!Project song. Confession – I can’t really compare this to the original song because I barely listened to it when it came out. However that was a mistake because Samidare Bijo ga Samidareru is a great song with a ton of energy and a lot of flair to it. It’s also one of the more catchy Juice=Juice songs – after getting this album I know I’ve sat around my apartment belting out the chorus because it’s just in my head again. The verses aren’t quite as strong as the chorus, but they do a great job of building tension before the chorus comes in. This is another song with a lot of great brass sound to it, especially the brass that starts out the song. This is the sound that defined most of early Ju=Ju, and rightly so – it sounds fantastic. Other than Ten Made Nobore, every Juice=Juice song so far has had a little quirk to its instrumentation that has endeared the song to me. This time it’s the piano that immediately begins the song and pops up occasionally throughout. It’s a great little hook that sets apart this song. In general the instrumentation for this is pretty great – there’s quite a bit of bass that makes for a great beat, and the brass and background vocals add a lot to the energy of the song. The members add a lot to this as well – I particularly enjoy Kanazawa Tomoko’s emphasis on “watashi wa rose quartz” and they all shine in the bridge before the last chorus. This song is weird – I enjoy the melody line as well as the instrumentation and arrangement, but as a whole I’m not sure how I feel about it. The guitar-heavy instrumentation sounds great, and the melody is cute and feminine, but together they feel out of sorts. It’s almost like this is a weird mashup, where the vocals are from a different song and they put it over a karaoke track that almost fit but doesn’t really. I do really like both parts of this, which is why it’s hard to justify this. And I don’t think these sounds have to be at odds with each other. I feel like a song about experiencing love for the first time can have a big, brassy sound – it’s why Watanabe Mayu’s Rappa Renshuuchuu works so well. However, the melody and vocal performance reminds me more of S/Mileage’s Asu wa Date na no ni Ima Sugu Koe ga Kikitai, and I don’t think it quite fits with the arrangement. I love the flamenco feel of this song – it’s so unlike other idol group sounds. I also love the acoustic guitar and it works very well here. Above all, this has a very catchy melody and the members of the group do a great job of emoting during this song – while the vocal performance of Juice=Juice has always been pretty solid, this is one of the early songs where they really make you feel the emotion of the piece. While this isn’t quite as good as Ijiwaru Shinaide Dakishimete yo or Romance no Tochuu, I don’t know if I can quite describe why. On a completely subjective level this is just not quite as memorable as those two. Also, while the heavy acoustic guitar is great, the times that the song relies on electronic instrumentation is where the song struggles. It feels strange to be praising a Juice=Juice song that’s relatively generic after praising the more interesting and unusual songs, but Are Kore Shitai is generic, cutesy and one of my favorite Juice=Juice songs. For the most part when listening to idol music I ignore the lyrics. My Japanese skill is a little bit rough, so while I can pick out phrases and concepts I can’t quite get everything. Even if I do understand everything or I read translated lyrics, for the most part idol songs, especially ones written by Tsunku, leave a lot to be desired. Even when they seem relatable, as an adult they aren’t completely, mostly because I’m older than most idols. However, Are Kore Shitai in parts almost perfectly reflects the perspective of someone like me – a single woman in my early 20s. Granted there are things that don’t line up perfectly, but it feels like a song that has a lot of maturity in its lyrics, a maturity that not a lot of idol songs carry. Recently, a Hello!Project Facebook group I’m a member of had a thread about our favorite and least favorite singles by the current H!P groups. Black Butterfly was a popular choice for least favorite for Juice=Juice, and it was my choice as well. Here’s why. The thing is, the recipe for Black Butterfly isn’t a bad one. Tango/Latin sound? Great! The repeating part of the chorus going “Black Butterfly” is a great section. The melody is pretty uninspiring but not bad at all. However, my biggest issues stem with the arrangement and instrumentation. Every instrument in this sounds completely fake. I don’t mind idol groups using some fake instruments here or there – if I did, I would probably hate most idol music. But they are not at all trying to hide it here. Additionally, the instrumentation just sounds empty most of the time, like some of the instruments were added in later. At points it reminds me of the backing track you’d hear while singing karaoke. It’s technically a backing track but by no means a good one. Listening to Kaze ni Fukarete, there is immediately oodles more passion in this song than in Black Butterfly. It’s also an example of how to correctly use artificial instruments – there is an artificial bagpipe sound throughout this doing things that I don’t believe a real set of bagpipes could actually do, but it adds a lot of flavor here. 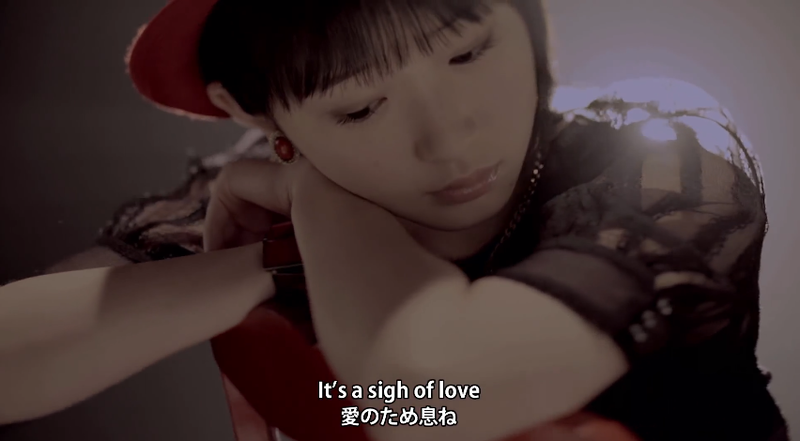 This is another song I see get quite a bit of dislike in the Hello!Project fan community. However, unlike black Butterfly, I just don’t get it. Senobi isn’t the best Juice=Juice song by any means, but it’s certainly not bad. The back and forth in the chorus between the sung sections and the “woah woah woah”s is a great idea, and I particularly enjoy the loud “Aitai!” at the end of the chorus – it sounds nice. Speaking of middle of the road H!P! This is pretty typical H!P – there’s a bit of a light funk sound to this that makes it more interesting to me, but otherwise this is very typical. To the point where, when writing this review, I’ve been sitting listening to this song and just not writing anything down. I’ve seen a fair amount of negative reaction to this song, which makes me ask the H!P fandom: How do you enjoy being wrong on this? I kid, but seriously I find Wonderful World to be very charming. The opening is very broad and almost theatrical in how much they are overselling the song, but I feel like that’s almost the point. How else do you sing a song about how wonderful the world is because you’re in love without belting it out and overselling it? However, the song won me over in the verses. Suddenly the song was transformed into a great classic idol song – the pizzicato strings, the phrasing, the melody. It’s the type of song where, if you told me “this is a cover of a Matsuda Seiko song” I would not be too shocked, because that’s exactly what it is. While the vocal performance is different, I could picture someone from that era performing this song. This is a pretty fun rock song. The real strength of Choice & Chance is the chorus because the melody is great and it shows off Juice=Juice’s vocals – every member sounds fantastic throughout this song, but especially within the chorus. While this is a pretty guitar-heavy rock song, it doesn’t sound too much like standard idol rock, which I appreciated. There is some electronic/dubstep elements and interesting things thrown into the instrumentation. OK, so look at the title of my blog. It is called “Happy Disco.” So, in looking at this title, you’d assume I like happy disco music, right? That is correct. And so, I like Umaretate no Baby Love. And like is VERY much an understatement. Basically I love every single thing about this song. The melody is cute and fun. The arrangement is undeniably very disco-inspired, with tons of electronic horns, keyboard and strings. The lyrics are delightful, focusing on an innocent, first love work REALLY well. The lyrics even go “Boogie Woogie Baby.” This song was written for me. Right down to the ending of the song (which ends PERFECTLY), this song works perfectly. I’m getting started on selecting my favorite idol songs of the year for my year-end blog posts, and this is the first song I immediately wrote down. Don’t they mean “boys and girls be ambitious?” (bad Hello!Project joke, please ignore). 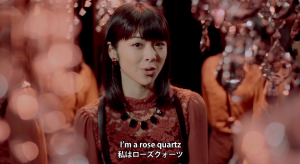 This is a great rock-lite upbeat of a song that I’ve seen has been performed at some H!P concerts already, and for good reason – this seems like a song that would be perfect for a concert. It’s upbeat, and the repeating section of “girls be ambitous” works really well, as does the rest of the chorus. It’s the type of song that I’d love to belt out in karaoke, and has a fun vibe to it. This is such a cute song, which I’m glad that Juice=Juice got to sing. Since their start bypassed any sort of cute younger idol stage and went straight for Watashi ga Iu Mae ni Dakishimenakya Ne, there aren’t a ton of straight up cute songs for Juice=Juice. One of the things I like about this song is that it trades raw vocal skill in favor for performance. The vocal performance focuses more on emoting in almost an exaggerated way that’s pretty fun. This is one of the more addicting melodies of this album – it’s one of the songs that gets stuck in my head the most. I also like the (artificial) horn throughout the song as well as the instrumental break – it works really well here. 10. Mirai e, Saa Hashiridase! One thing I’ve been thinking about a lot since this album came out is that most Hello!Project songs don’t actively focus on the groups themselves – they instead try for more relateable songs. What I mean is that most H!P songs don’t tend to say the name of the group they’re in or be focused on the actual members of the group – there’s not much room for songs like Momoiro Clover’s Ikuze Kaitou Shoujo or AKB48’s Pioneer, for example. There might be some exceptions, like Joshi Kashimashi Monogatari or some of the Mini Moni songs, but those are in short supply. Those types of songs are a bit of a double edged sword, really. Unless you retool the song (like a Joshi Kashimashi) it’s not going to work for multiple groups or sets of members. SKE48’s song Omatase Setlist is not going to have the same punch for any group that isn’t SKE48 Team KII, because the song is literally about Team KII wanting their own stage. Also, it’s the type of song that can’t be about the person listening to it. I can feel a personal connection to Are Kore Shitai because of the ways I feel it reflects me as a person, but I don’t have that same personal connection to Joshi Kashimashi Monogatari. At the same time, though, I like songs that are about a specific group, and I think they are effective in getting you to follow a group. Hearing a song about a group’s struggles like Pioneer makes me want to support them (even if that group is wildly popuar). Aside from me liking the lyrics and message of this song, I like the musicality of it as well. While the song has a steady beat and is by no means slow, I like how Mirai e Saa Hashiridase builds up in sound throughout the entire song, adding new instrumentation and punctuating the growth with a small drum roll. It could have worked a bit better, as some of the instrumentation does get cut out during the chorus, but for the most part this is great. I mean, I get why this is the last song. It has a lot of the thematic elements of the last song, only it’s about a continuing story. I get it. It just feels like H!P had two songs they liked that would work for the last song of the album and went “eh, let’s throw both on there. I think this would have worked a bit better before Mirai e, Saa Hashiridase! but I think that’s more of a matter of personal opinion. This is not a bad song by any means. I’m not a big ballad person, so this isn’t a song I choose to listen to on my own very much. It’s very pretty – all the vocals sound great, the strings in the background are great, and the melody is pretty. However, for a ballad to be a song I actively like or listen to it has to do something interesting or be somehow extraordinary in a way. For example, Matsuura Aya’s perfect vocals maker her ballads work for me, and Momoiro Clover Z’s Hai to Diamond has a great melody and interesting instrumentation. This is purely personal preference though. I’m not going to review the third disc of this album as it is all covers. However, I think it’s worth mentioning that all of the songs they chose for this are excellent. Taiyou to Ciscomoon’s Magic of Love is one of the all time great H!P songs, Narihajimeta Koi no Bell is fantastic, as are all the others. I think the choices of songs is very telling – it’s mostly some of the great, classic H!P songs with one newer song thrown in I’m assuming because it’s more disco-y (Narihajimeta). If that’s the vibe they’re going for with this album, they nailed it. Overall: I did not expect to be blown away by this album. I’ve gotten used to not caring about H!P album releases, and I hadn’t paid that much attention to Juice=Juice in the past. However, after listening to this album I’ve realized that Juice=Juice is trying for some interesting things musically, and focusing on a sound that I personally enjoy a lot. While there are some tracks that are stronger than others (Umaretate no Baby Love for one), this is overall an incredibly solid album that I’ve been listening to regularly. If you tuned out of Juice=Juice at any point I urge you to give this a listen, at least the second disc. It is well worth your time. Happy Review Monday! Today’s topic: the new Juice=Juice PV! Song: This is the most old-school H!P song I’ve heard in a while. This instantly made me think of stuff like Kiiroi Osora de Boom Boom Boom and Gatamekira. As a fan of H!P’s old-school sound (especially of stuff like T&C Bomber/Taiyou to Ciscomoon), this is a great sound that I want more of in H!P. I’ve really enjoyed the releases from Juice=Juice (especially Watashi ga Iu Mae ni Dakishimenakya and Romance no Tochuu) and Ijiwaru Shinaide Dakishimete yo continues with that musical excellence. This does a great job of being consistent with previous releases (it sounds like a Juice=Juice song should sound like) while also being distinct. It’s catchy and fun. As always, Juice=Juice has some of the best arrangement in H!P. The piano sections in particular stand out. Not quite as much as the saxophone in their first single, mind you, but I don’t think much will. The lovely piano bits are part of a really solid whole, however; the rest of the arrangement is really nice. Occasionally the background vocals sound a bit too loud, but that could be because I want to hear more of Juice=Juice. Tomoko and Sayubee in particular sound great, but the rest of the girls sound very good. 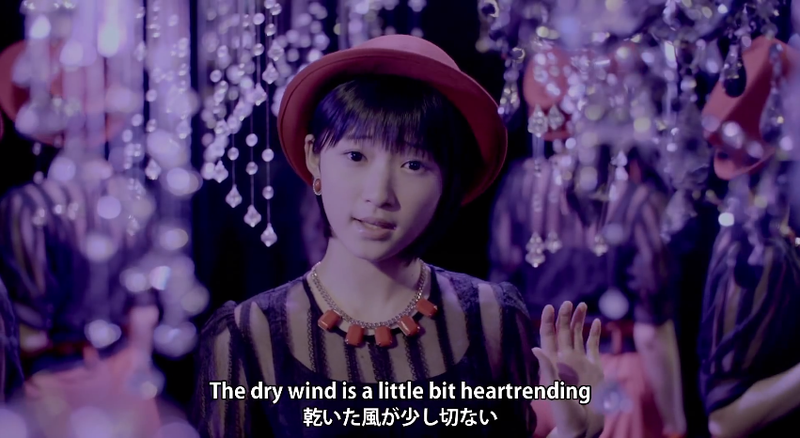 So there’s really no need for overwhelming background vocals unlike, say, early Berryz Koubou. The arrangement strikes a good balance; the girls’ voices are rarely overwhelmed but it doesn’t sound empty like some Hello!Project songs are guilty of. Aside from the mixing issue of making the background vocals a bit too loud (at least to my taste) this is a well-produced song that continues Juice=Juice’s excellent streak of singles. You can continue putting Ishida Ayumi in everything. I wholeheartedly approve. Seriously, though, even though pretty much everyone was skeptical about it, Ayumi fits in very well with Juice=Juice. The situation is still a bit awkward, and I imagine that there was extensive discussion on what to do with Karin’s foot injury. However, I think this ended up being a good choice (it’s hard to imagine only four people doing this dance) and Ayumi fits in really well visually and with her dance skills. My friend Dani pointed out that this is a good case for more shuffles, and I agree. The Satoyama/Satoumi units are fine, but I’d love proper summer shuffles again where all of H!P’s shuffled up. That said, it is a bit strange seeing Karin in part of the PV and Ayumi in the other. It also doesn’t hurt that this isn’t a very interesting PV. There are two sets of close up shots, occasional group shots and the dance shot. It’s very basic and on a basic set. I like this a lot in theory. The dark background and the red floor is a cool idea. But the way it was executed makes it look kind of boring and empty. Like they just set up walls and a floor and were like “let’s call it a day!” (which, let’s be real, is probably what they did). Those sets are well-lit and nice. The rest of the PV’s lighting is not that great. One of the biggest complaints I’ve seen about this PV is that it’s dark looking. My response is that dark isn’t bad; it’s just the same old boring flat lighting that most H!P PVs are lit at. Look at that screencap up there with Tomoko; she has shadow to her face which adds dimension, and there’s a good contrast between her face and the background. It looks nice. Then let’s look at this screencap with Akari. See how little shadow there is on her face? There are tiny amounts of darkness, but for the most part this is completely flat lighting, which means that the light is diffused over the whole thing. Now for the most part you don’t want a ton of shadows unless you want a specific mood (like in The X-Files; some scenes are basically in the dark). However, some shadows add depth, character to a face. Akari’s face here looks like it’s not brightly lit AND it’s super flat, which just makes it look worse. 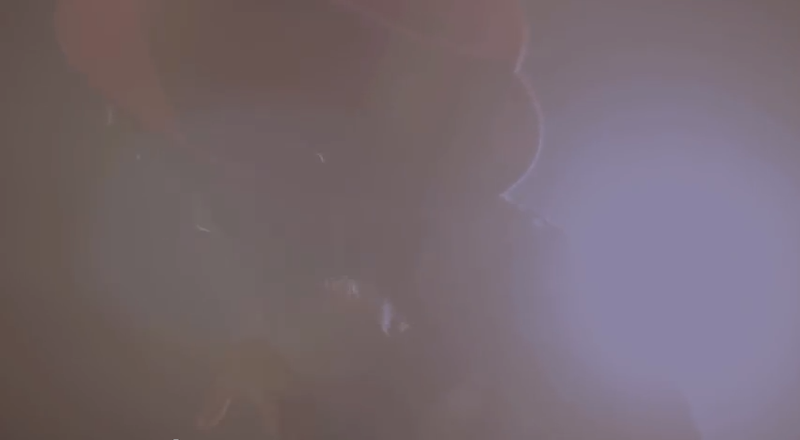 While a lot of the issues are with the actual lighting setup, they could have done more in the post-production. I took that same screenshot and did a little bit of editing in my freeware photo editor. I slightly upped the brightness and I raised the contrast. This looks a lot more dynamic than the flat image presented earlier. Of course, the editing on the video would have had to do just that; upping the contrast on a moving image. However, this took me about 10 seconds to do. There are even scenes where it’s too bright. I know they wanted to do a lens flare type effect or SOMETHING, but seriously, what were they attempting with this? That said, not every shot has awful lighting, so points for that? I think this has a lot of potential. I really enjoy the song, the general aesthetic feel of the PV, and the costumes are nice. H!P just didn’t take the time to take this PV further, to make it better. Which is frustrating. Overall: This is a really nice song, and a decent but extremely flawed PV.